Firearms Law Attorney | CHL Attorney | NFA Gun Trust | FFL Attorney - Lapin Law Offices, P.C. "The right of the people to keep and bear...arms shall not be infringed. A well regulated militia, composed of the body of the people, trained to arms, is the best and most natural defense of a free country...."
Lapin Law Offices help clients keep and carry their firearms in a lawful manner. Hire a Firearms Law Attorney who supports the second amendment and all that it stands for. Join the Armed Citizens' Legal Defense Network to help guard your legal rights. LAPIN LAW OFFICES is a proud member of Armed Citizens' Legal Defense Network. Lapin Law Offices offers affordable, experienced, and aggressive Firearms & 2nd Amendment, License to Carry (LTC), Concealed Handgun (CHL), and Federal Firearms Licensee (FFL) legal services for clients in Addison, Carrollton, Dallas, Frisco, Garland, McKinney, Plano, Richardson, and other cities throughout Collin, Dallas, Denton, Hunt, Kaufman, Rockwall, and Tarrant Counties. 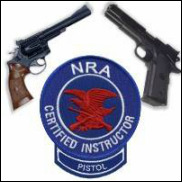 Lapin Law Offices also provides National Firearms Act (NFA) Gun Trust services.